On October 30th the Quad-Cities will be hopping with comic happenings. To celebrate their 12th Anniversary, The Dragon will be having their 2nd annual mini-con. The guest list for the in-store event is pretty great (it’s like a mini comic-con; see what I did there?). On Saturday October 30th from 12pm -5 pm will be the spoooooky Halloween signing! Special guests are Ray Fawkes (creator of the spooky Possessions), Ross Campbell (creator of the spooky Wet Moon and Shadow Eyes and Abandoned), Jeff Lemire (creator of the spooky Sweet Tooth and Nobody), the Kill Shakespeare creative team of Anthony Del Col, Conor McCreery & Andy Belanger (Andy also creates the spooky Raising Hell webcomic), Richard Pace, and Dale Keown (these guys worked on the sometimes spooky/superheroey Pitt; Dale also worked on that Marvel book The Incredible Hulk). There will be Halloween treats, and the stores annual Anniversary Sale. Parents are greatly encouraged to bring along some costumed little ones. For more details on the event visit the website or check them out on twitter @dragonguelph. All that, plus the book launch for Scott Chantler‘s Two Generals. Where: The J.A. McIntosh Armoury, 1 Valour Place, Cambridge, Ontario. When: October 30th, starting at 7pm. Open House from 10am to 5pm. It’s been a long, long road, but the release of Two Generals is finally just around the corner. And it’s getting a big kick-off with a book release party on October 30th at the J.A. McIntosh Armoury in Cambridge, Ontario, the headquarters of the former Highland Light Infantry of Canada (which is the regiment depicted in the book). The Armoury will be holding an open house from 10am to 5pm that day, during which time the book will be on sale and I’ll be there to sign them. This would be a great time for anyone interested in military history to come see the displays, take a look in the regimental museum and, of course, pick up a copy of Two Generals. Then, starting at 7pm, the book release party begins upstairs in the Officers Mess. The Armoury is a historic building and the Officers Mess really hasn’t changed since the First World War. It’s very much where the story begins, so it’s appropriate that the book will start its journey there, too. 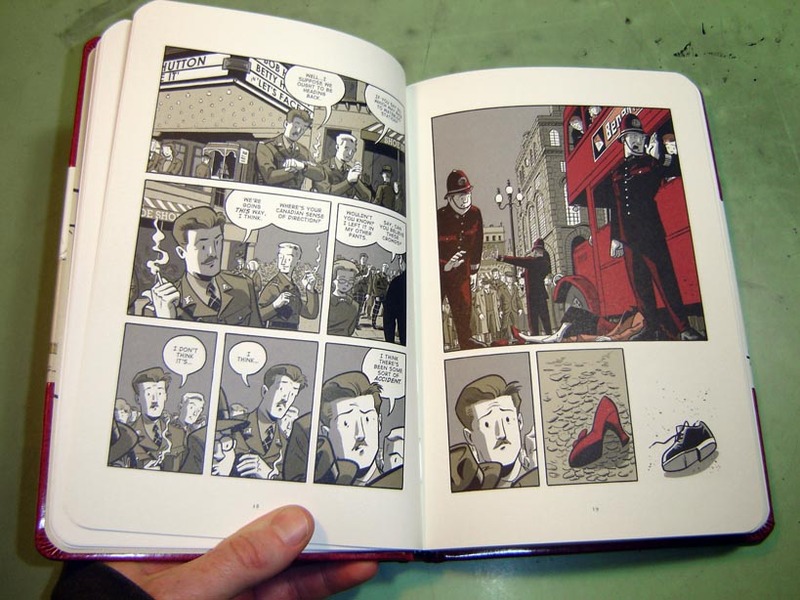 Books (and original art!) will be on sale throughout the evening, and lots of friends, family, and industry people will be on hand. This event is free, and open to the public, so take a step backward in time and come help me celebrate the book’s release by touring the regimental museum (which will still be open in the evening) and drinking in the same room that the officers of the HLI of C did. It’s going to be a grand time! 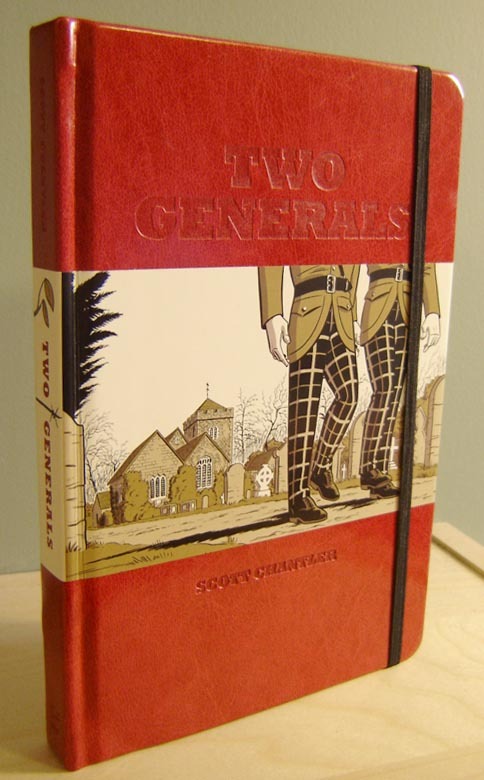 Scott Chantler will also be having a Remembrance Day book launch for Two Generals at The Dragon, in conjunction with a Comics For Kids drawing workshop, all happening from 12 pm – 3pm on Saturday, November 13, 2010. This entry was posted in 2010 Releases, Happenings, Retailers by Robert Haines. Bookmark the permalink.